Flexibility and toughness are guaranteed by Pavan under all working conditions. 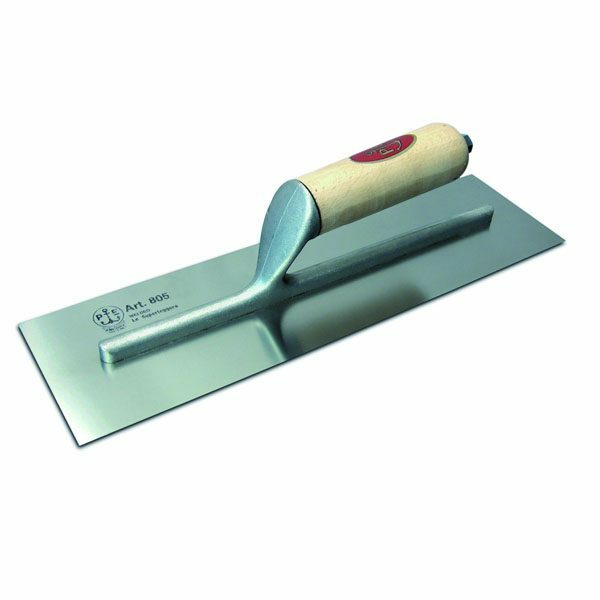 Pavan 805/IL Long Trowel is assembled by welding. This is followed by rigorous testing for load bearing and x-rayed to check correct joining. An exclusive lip process ensures the perfect application and quality of the final polishing operation.